Prepared on Notepad by Ian Smith, This page created 9th October 2000. 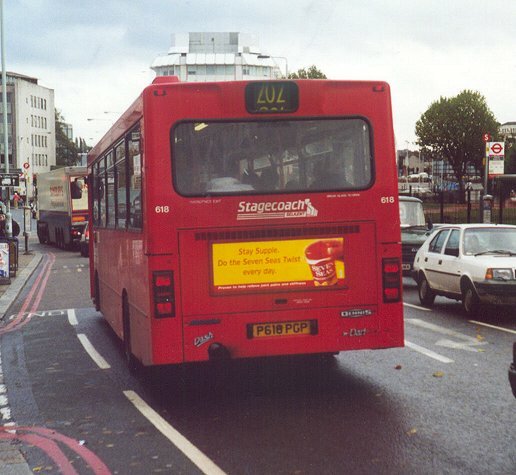 Stagecoach East London was quick to introduce Scottish bus bodies for its London operations. After its use of 8.5m and 9.0m Wright bodies on the DW and DWL classes it ordered longer 9.8m Dash bodies from Alexander. 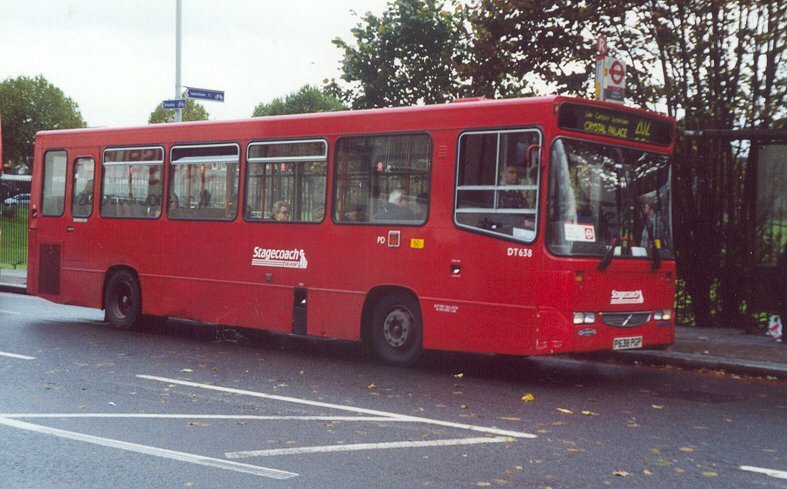 These started to arrive from August 1995, and went to Romford (North Street) for the 247 and Barking for the 238. 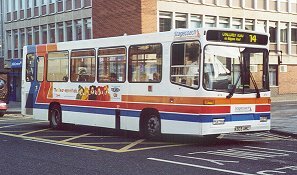 Their sojourn in London was brief, and by 1998 they were starting to emigrate to other Stagecoach companies: Cheltenham & District, Stagecoach Hampshire, East Kent, Stagecoach Transit and latterly Stagecoach Fife. All had departed by the end of 1999. 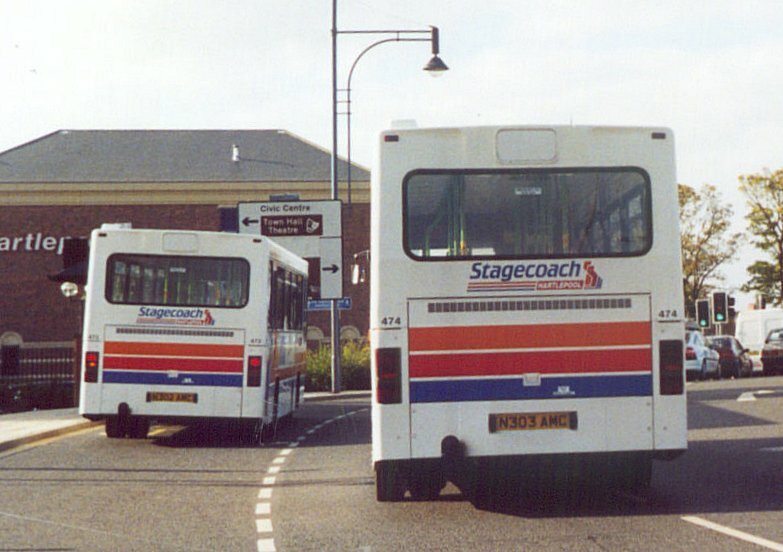 DAL3, now Stagecoach Hartlepool 474, was on Hartlepool town services in October 2000. 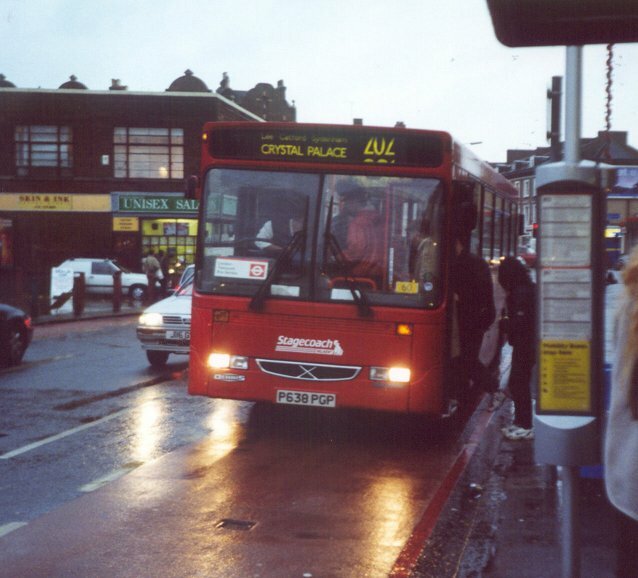 December 1995 saw Selkent also buying the Dash, fourteen arriving for use at Plumstead on the 177. These were of the same style as the East London Dashes, with a windscreen dipping to a central point, destination blind boxes tapering at the edges, and a simple inclined louvre air intake on the front. They received Selkent's plain red livery. Unusually for London Stagecoach buses they received no type-code, being simply numbered in parallel with their registrations. 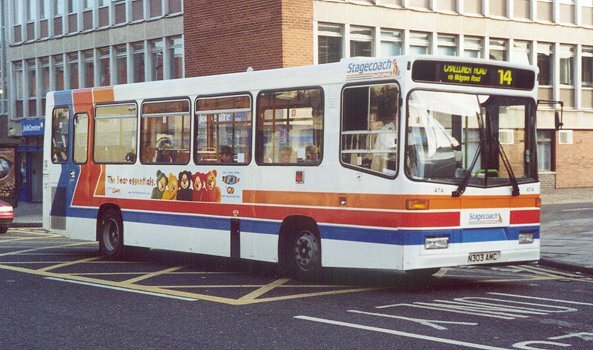 This batch also did not stay long in London, being swapped from mid-1998 with dual-door PDs from Stagecoach Oxford. 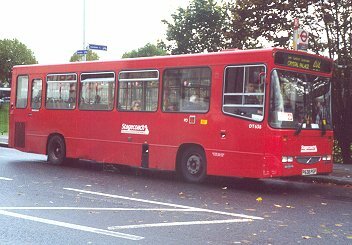 DAL 618 was at Catford Bridge on a Blackheath-bound 202 at lunchtime on 28th October 2000. 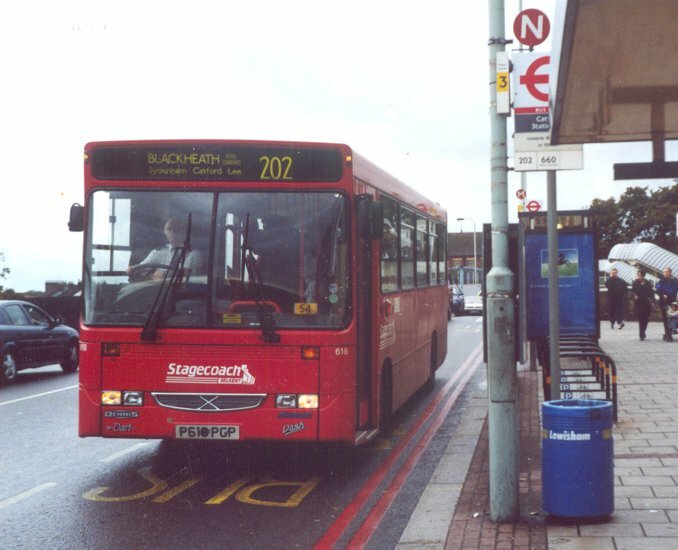 From mid-1996 more Dashes appeared with Selkent at Plumstead and Catford, for the 160 and 202. From mid-98 they appeared also on the 127, sub-contracted to London General. 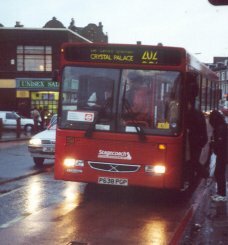 These had detail differences from the earlier buses, with a curiously old-fashoned Alexander saltire grille on the front, a straight bottom to the windscreen, and a squarer treatment for the display aperture. 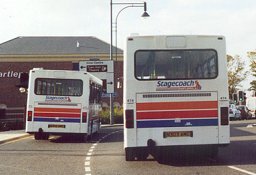 Six of these also were swapped to Oxford in late 1998 and mid-1999, and others have gone to Stagecoach Transit. Some have transferred to East London, and some that did have returned to Selkent. 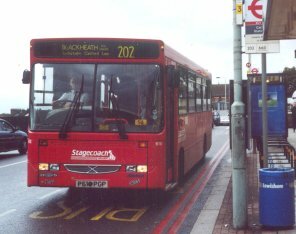 DAL 638 was on the 202 on 28th October 2000. I saw it at Catford Bridge at lunch-time, and again at Lee Green in late afternoon. Ian's Bus Stop Dart index. DNL. DAL. DEL.